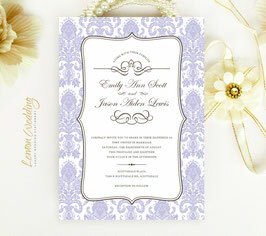 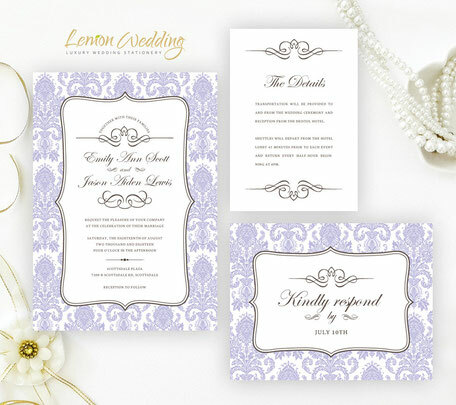 Tell your loves ones and close friends they’re invited to your big day with our Damask Wedding Invitation. 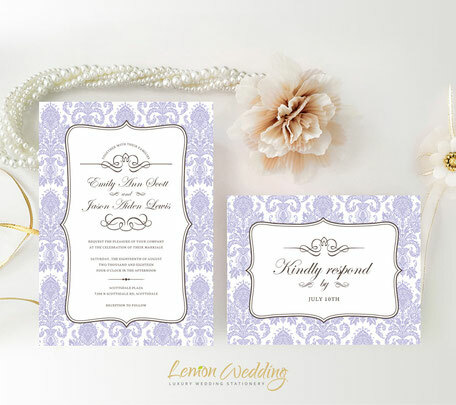 Our elegant wedding invites will provide your guests with the important details regarding your regal wedding. Printed on premium card stock, our invitations features your wedding details surrounded by sophisticated powder blue damask.